The indoor Range Facility is open for general use on Monday, Wed & Hopefully Friday evenings from 5pm to roughly 8:30PM though Standard time Months for Pistol caliber use. Tuesday evenings are reserved for the Spokane Rifle Club Junior practice evenings. 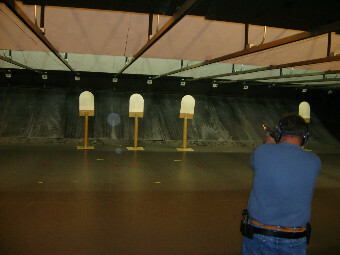 Several Groups use the facility on the weekends from Sept to May for formal competitions during the daytime, with various club divisions using the facility during weekend evenings. For the 2018 – 2019 Season, the facility has undergone a major lighting upgrade. We have invested in LED range lights and now meet USA Shooting standards for range illumination. Please check the range calendar before you make a trip up! As a reminder, ANY Brand steel core ammunition is not allowed to be fired at the indoor range as it is harmful to our backstop. Please check you ammo with a magnet to make sure, as some ammo appears to have copper or brass projectiles, when in reality it is plated steel. Stay on top of all the current events for the division right here with our own announcements, news, & updates!